Digital Trends has teamed up with HP to gift one of their fans with a brand new laptop! To enter in their latest HP Spectre Folio 2-in-1 Leather Laptop Giveawaygrab your free entries by following few simple steps listed down below! 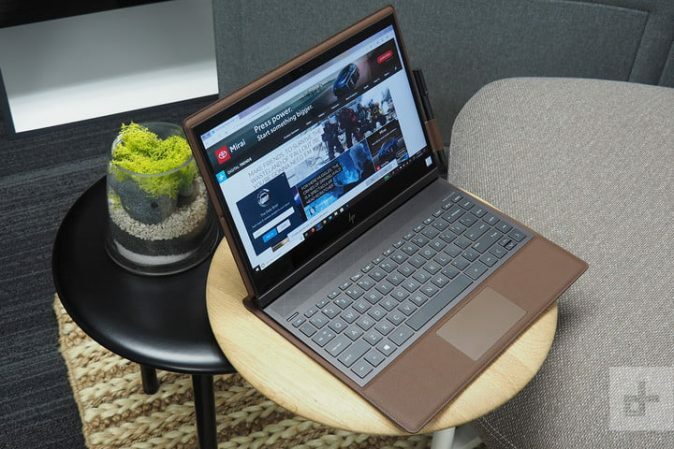 With an 8th generation Intel Core i7 processor, 8 GB of memory, and 256 GB of SSD storage, the HP Spectre Folio is more than just pretty, it’s also rather powerful. The 13-inch Full HD display, paired with tablet capabilities, make it an excellent laptop for everything but larger scale design work. Unlike most 2-in-1 laptops, however, the Folio folds a little bit differently. If you take a look at the new HP Spectre x360, you’ll notice that the screen folds over the back. This ends up leaving the keyboard exposed underneath. The Folio actually flips inward to cover the keyboard, allowing that luxurious leather to keep protecting the bottom of the laptop.